Besiktas Municipality’s Advisor to the Mayor Sedef Cakmak participated in the European Commission’s seminar on local administrations and LGBTI rights. Cakmak told kaosGL.org that the Municipality will cooperate with SPoD LGBTI association to implement trainings on LGBTI rights and discrimination for municipality staff. The European Commission organized a seminar on gender equality and LGBTI rights in local administrations during 24-26 November 2014. Local administration representatives from Turkey and Eastern Europe shared their experiences. The European Union’s policies and programs on LGBTI rights and non-discrimination were presented to the participants. 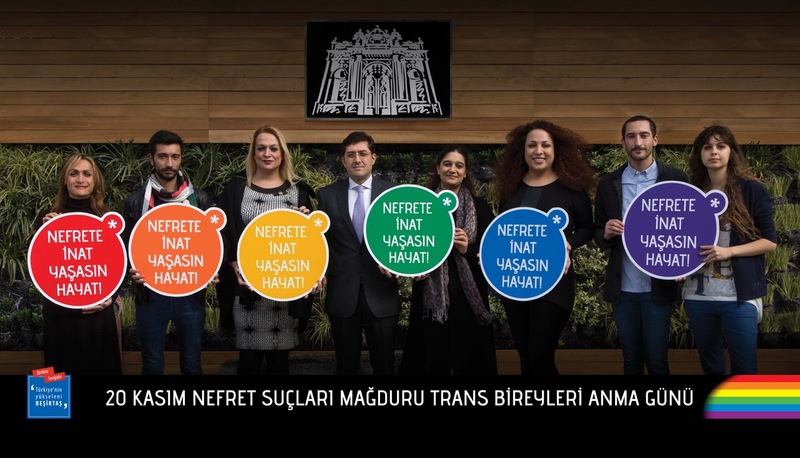 Participants from Turkey were the Istanbul Metropolitan Municipality, Bursa Nilufer Municipality and Sakarya Municipality as well as the Besiktas Municipality which stands out with its LGBTI work. On behalf of the Besiktas Municipality, Sedef Cakmak, Advisor to Mayor Murat Hazinedar and a SPoD LGBTI activist, participated in the seminar. Speaking as Turkey’s spokesperson, Cakmak stated that though Turkey does not have laws that explicitly criminalize LGBTI identities, there is a high prevalence of hate crimes and discrimination. She stressed that the efforts to tackle hate crimes and discrimination are insufficient. Cakmak talked of the LGBTI work of Sisli and Besiktas municipalities, reminding the “LGBTI-friendly Municipality Protocol” prepared by the SPoD during the local elections in March 2014. Cakmak emphasized that they will continue their LGBTI work, stating their willingness to keep supporting events like Istanbul LGBTI Pride Week.